TEL AVIV — The final report this week of an inquiry into the handling of the 2006 war in Lebanon could determine the fate of Prime Minister Ehud Olmert’s government just as it settles into peace talks with the Palestinians. DAMASCUS (Reuters) – Syria on Sunday accepted a U.S. invitation to a peace conference in Annapolis and named Deputy Foreign Minister Fayssal al-Mekdad as head of its delegation in a boost to the talks’ organisers. The Damascus government made a late decision to attend after seeing a reference to the occupied Golan heights on the agenda. “The government of the Syrian Arab Republic has accepted the American invitation,” the official news agency said, adding that Syria decided to go after receiving a copy of the agenda stating there would be a session on reviving Syrian-Israeli peace talks. Another round of talks, focused on normalising ties in return for Israel returning the Golan Heights to Syria, collapsed in 2000. Syria had said it would not attend unless the Golan Heights, which Israel occupied in 1967, were on the agenda. When the Middle East peace conference kicks off Tuesday in Annapolis, President Bush will deliver the opening speech and also conduct three rounds of personal diplomacy with Israeli and Palestinian leaders. Such an active role is notable for a president who has never visited Israel while in office, who has made only one trip to Egypt and Jordan to promote peace efforts, and who has left the task of relaunching the peace process largely in the hands of his secretary of state, Condoleezza Rice. Rice logged 100,000 miles shuttling back and forth to the Middle East eight times over the past year, telling Israeli and Arab officials that despair can lead to radicalism, and that a generation of Arab youth may be lost if there is no progress on a Palestinian state. “Failure is not an option,” Rice has often declared. WASHINGTON – The most important player in the push for Mideast peace that President Bush launches with a high-stakes conference next week may be one that’s not on his long list of invited guests. For varying reasons, Iran is a force driving the United States, Israel, the Palestinians and their Arab backers to seek a deal now. Many other motives come into play, but the growing influence and uncertain aims of Tehran provide rare unity of purpose among states that are key to solving the six-decade Israeli-Palestinian conflict. The United States has asked nearly 50 nations and organizations to attend next week’s coming-out party…. “Catch and release” refers to the popular fishing practice of releasing the hooked fish so that he can live and participate in that great sport another day. It has also been applied to our overcrowded prison system. Often judges release prisoners convicted of misdemeanors and minor crimes, sentencing them to something other than prison time like community service. If only we had “Catch and release” for politicians. We often elect people to high office that turn out to be, let us say, releasable. 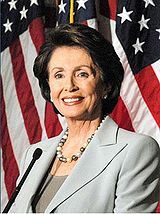 We’d nominate Speaker of the House Nancy Pelosi for Catch and Release. Ms. Pelosi has put her own self and the interest of her small congressional constituency ahead of the national interest. Last spring, Ms. Pelosi embarked upon what she called a “peace mission” to Israel, Lebanon, Syria, Saudi Arabia and the Palestinian territories. She was widely criticized for overstepping her authority as Speaker of the House and meddling in the job of the Secretary of State. These past few weeks, Ms. Pelosi has championed an idea floated by her Armenian-American constituents to brand Turkey as a nation that fosters “genocide.” Sounds harmless enough. But the atrocities some call genocide started in 1915 and were committed by the now defunct Ottoman Empire. In fact, Turkey, though which some seventy percent of U.S. Iraq and Afghanistan war logistics flow, told its Ambassador in Washington DC to come home for “consultations.” Then Turkey threatened to stop support for the U.S. in the war. Now the Turkish parliament will apparently vote to invade Iraq to wipe out the troublesome Kurdistan Workers Party, or PKK, which Turkey considers a terrorist organization. Ms. Pelosi, to satisfy a small local constituency, has muddled international relations on a grand scale. If only we had catch and release for politicians. The Bush administration correctly asserts that the entire Middle East, from royal palaces to terrorist camps, is watching the eventual outcome in Iraq to determine the state of American resolve. But the region is also taking a more immediate measure of America’s commitment to its friends: our response to the Iraqi refugee crisis. And this, too, is a matter of national credibility and honor. About 2 million Iraqis have been displaced within Iraq by sectarian violence and contagious fear; another 2 million have fled the country for Syria, Jordan, Lebanon, Egypt and beyond. According to the United Nations, a steady flow of new refugees continues at about 50,000 each month. For the most part, these Iraqis are not concentrated in refugee camps but dispersed in poor urban areas of cities such as Damascus or Amman, making it difficult for humanitarian agencies to identify and reach them. Muslims around the world increasingly reject suicide bombings and other violence against civilians by those purporting to defend Islam, according to an international poll released yesterday. A wide-ranging survey of international attitudes in 47 countries by the Pew Research Center also reported that in many of the countries where support for suicide attacks has declined, there also has been decreasing support for al Qaeda leader Osama bin Laden. The war in Iraq is approaching a kind of self-imposed climax. Public disenchantment is palpable. Congress will surely press for an accelerated, if not total, withdrawal of American forces. Demands for a political solution are likely to mount. But precipitate withdrawal would produce a disaster. It would not end the war but shift it to other areas, like Lebanon or Jordan or Saudi Arabia. The war between the Iraqi factions would intensify. The demonstration of American impotence would embolden radical Islamism and further radicalize its disciples from Indonesia and India to the suburbs of European capitals. We face a number of paradoxes. Military victory, in the sense of establishing a government capable of enforcing its writ throughout Iraq, is not possible in a time frame tolerated by the American political process. Yet no political solution is conceivable in isolation from the situation on the ground. What America and the world need is not unilateral withdrawal but a vision by the administration of a sustainable political end to the conflict. Withdrawals must grow out of a political solution, not the other way around. None of Iraq’s neighbors, not even Iran, is in a position to dominate the situation against the opposition of all the other interested parties. Is it possible to build a sustainable outcome on such considerations?